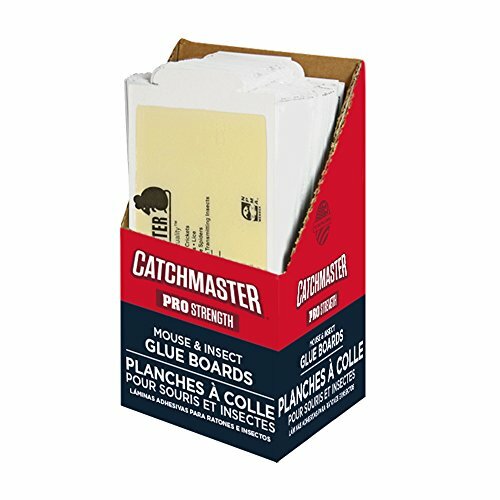 Catchmaster Professional Strength Mouse & Insect Traps are non-toxic and serve the purpose of trapping and/or monitoring for mouse and insect activity.KEEP OUT OF REACH OF CHILDREN, PETS, AND NON-TARGET ANIMALS. In case of contact with adhesive, use vegetable or mineral oil to remove from skin or animals. Publisher: Atlantic Paste and Glue Co. Inc. Studio: Atlantic Paste and Glue Co. Inc. If you have any questions about this product by Catchmaster, contact us by completing and submitting the form below. If you are looking for a specif part number, please include it with your message.